As we step into a home, we could get to know more about the owners/residents. Among homes that we evaluated and showed, we have visited some lovely homes where every interior choice and decoration detail is a labour of love. 2893 Elgin Mills Road is one of these remarkable homes. If not due to a career relocation to a western province, there is no way the homeowners willing to part with this beautiful Cathedraltown home. As our words would probably not do the justice, here is a video tour to let this home does her convincing. Details of this 2 year new Andrin built townhome are listed on MLS. You need to be there to truly appreciate her. 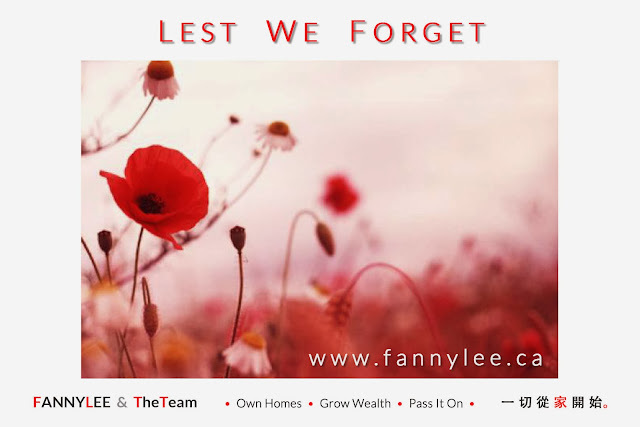 Call, email or connect with us to arrange a private showing. You will not be disappointed. Toronto Real Estate Board (TREB) October statistics showed that Greater Toronto Area (GTA) property market continues to be active. 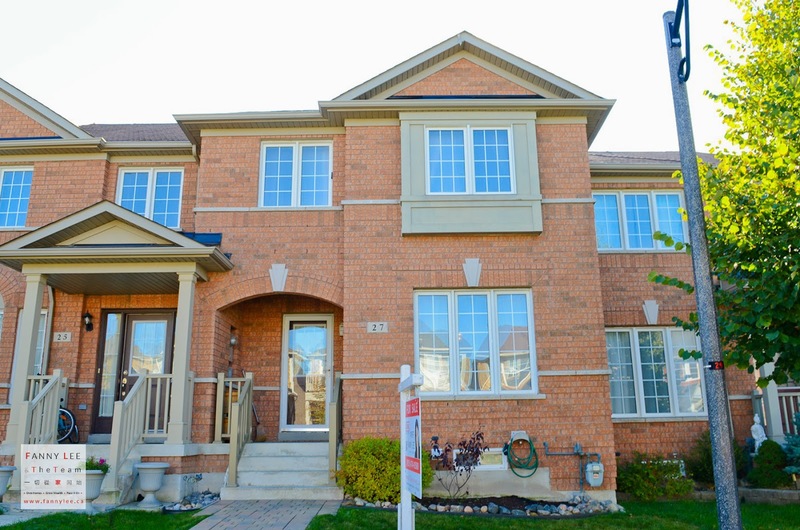 "The GTA home ownership market has been broadly characterized by a rebound in sales since the summer. Market conditions have been tighter in some market segments," Dianne Usher, TREB President. Here is our quick takeaways from this Market Watch report. • A GTA home was sold at the average price of $539,058 in October. 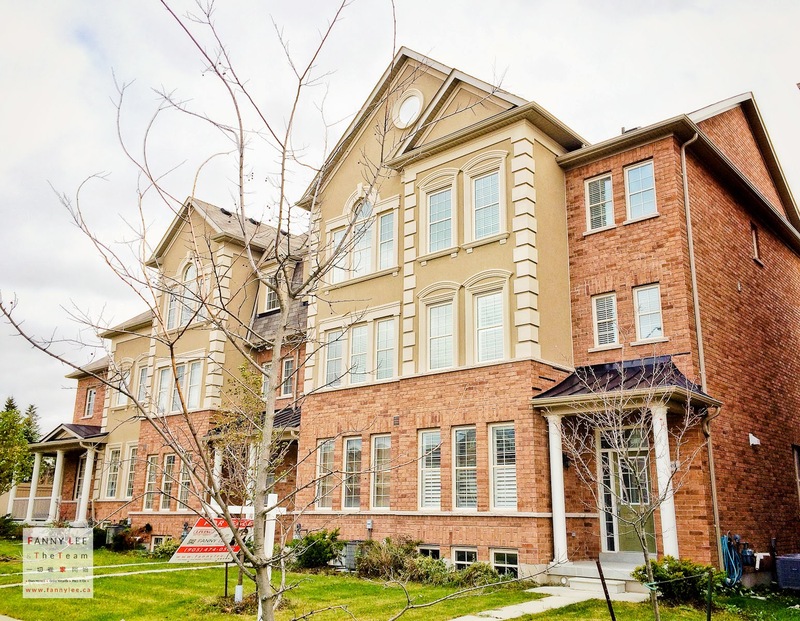 • Detached in 416 area, townhouse and condo of both 416 & 905 were the performing segments. 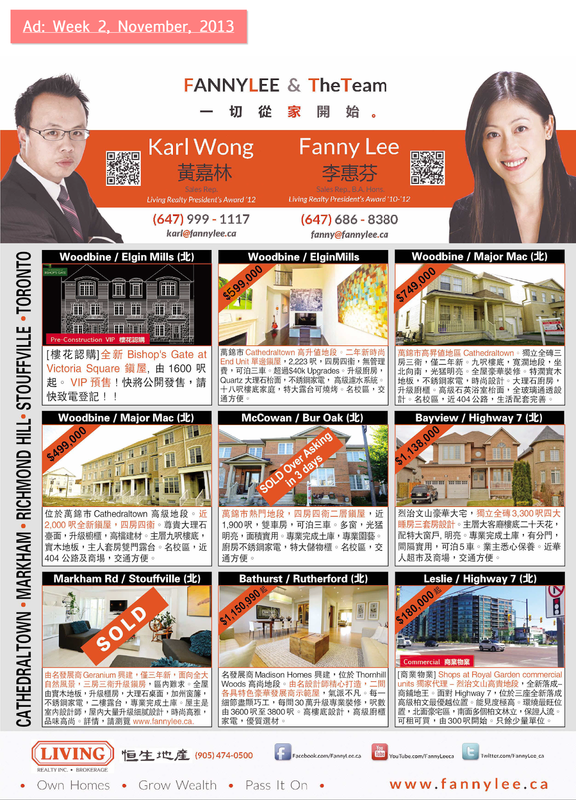 • Compared to a year ago, detached and semi-detached home price increased by 10+%. 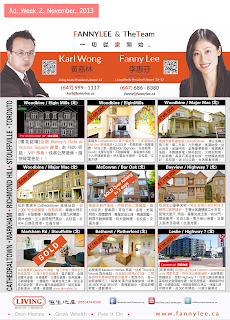 • New and active listings dropped from last October level. "Growth in the average selling price ... will continue through 2014," TREB's Senior Manager of Market Analysis. Tribute to those brave selfless souls who sacrificed to keep us safe and free. 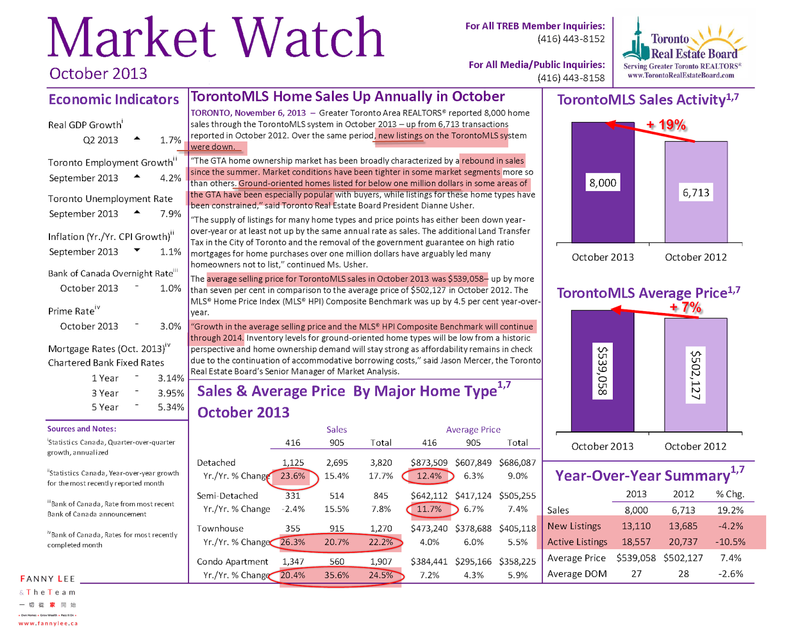 There were 8,000 GTA home resales in October (ref: TREB Market Watch). It was 19.2% more than October 2012. In fact, the market outperformed 2012 on a month to month basis since July this summer. Statistics aside, we experienced a lot of market activities. 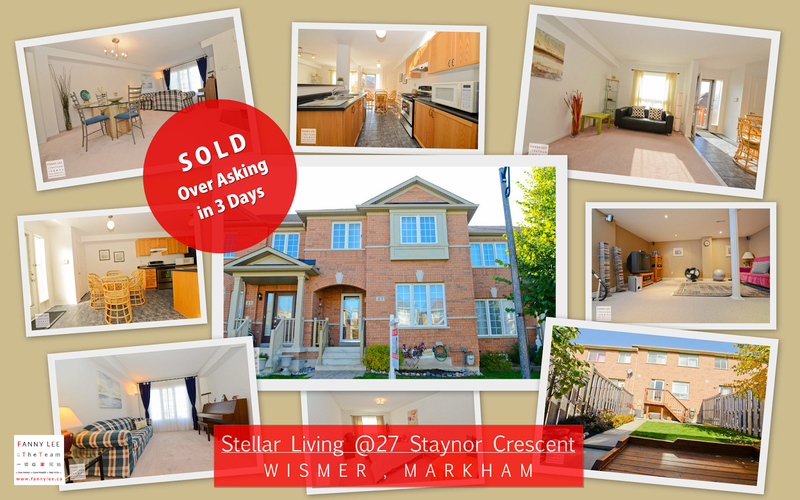 Many of our Cathedraltown, Stouffville, Wismer listings were sold. Some did really well, i.e. sold over asking in a few days. On the other hands, we have clients looking for homes and investment properties. • pre-construction Residences of Bishop's Gate, Victoria Square. If you are considering selling your home (see our promises) or making a property purchase, you ought to seek a trustworthy professional to represent and protect your best interest. Among so many realtors, who is to choose? Like Looks Bob Dylan's "Blowin' In The Wind" suggests, "the answer my friend is blowin' in the wind" (or in the cloud), watch our customer testimonials on our YouTube channel. We would love to hear from you. Also, follow us on Facebook and connect with us on Twitter, Instagram, Google+. Congratulations to our wonderful customers! Thank-you for the Trust and Opportunity.